St. Brieuc is the chief town and the seat of the Prefecture of the Department of the Cotes-d'Armor. The town lies 64 kilometres west of Dinard (Ille et Vilaine). 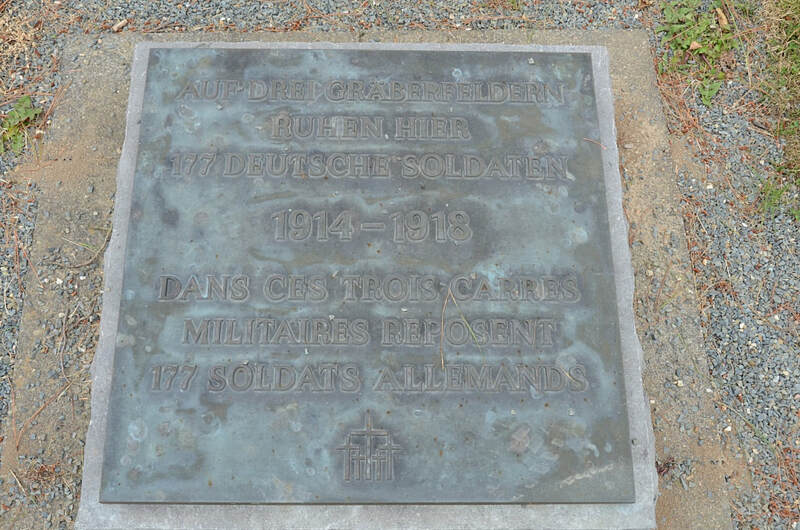 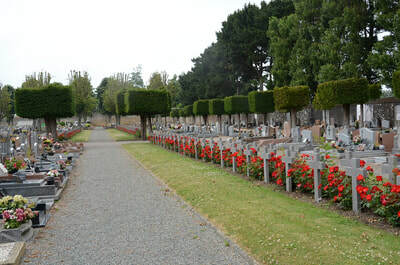 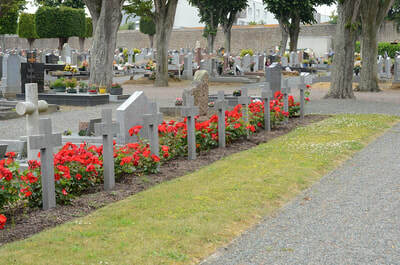 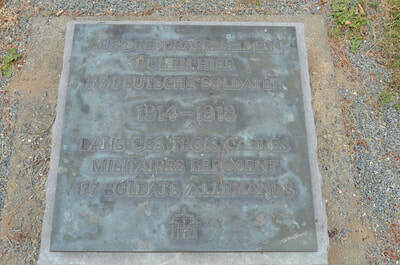 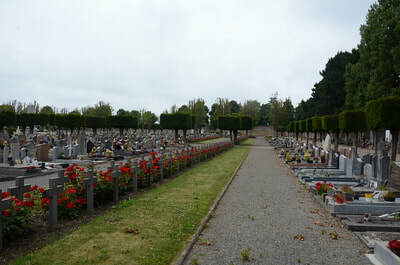 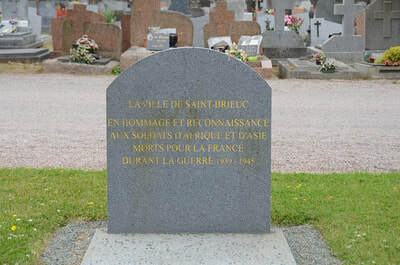 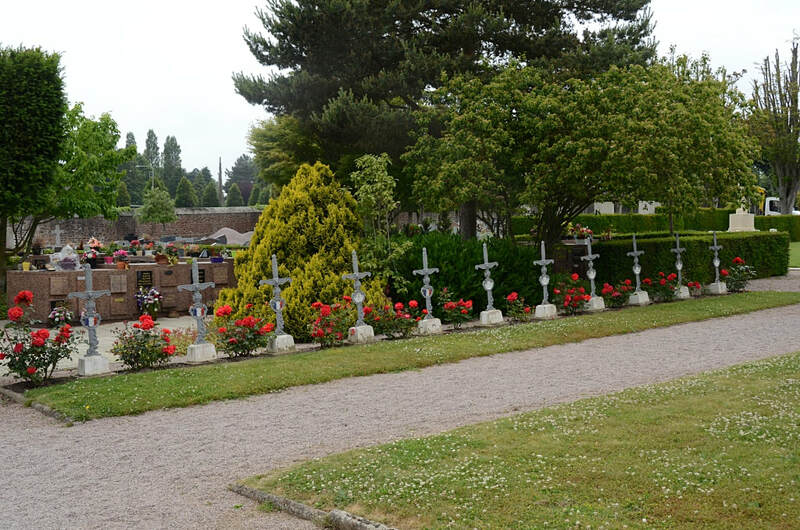 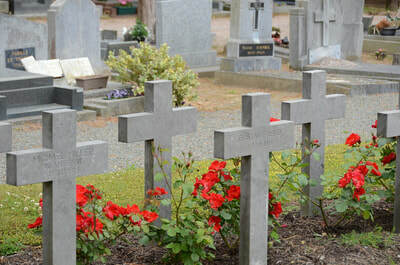 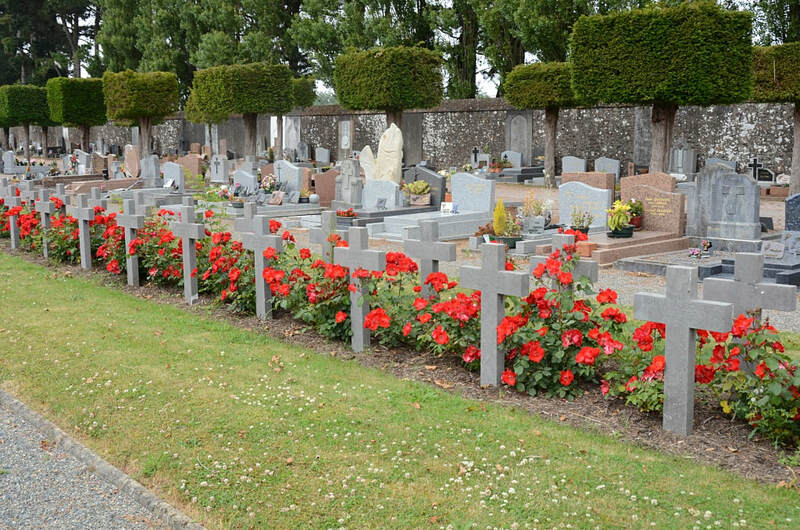 The western communal cemetery is 2 kilometres from the railway station, between the road to Brest and the road to the local aerodrome. 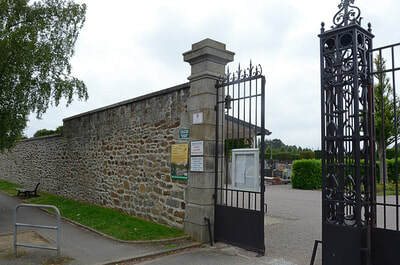 From the Prefecture, follow the Rue de la Corderie onto the Rue J Nicolas and then into Rue Pinot where the cemetery entrance will be found on the right hand side. 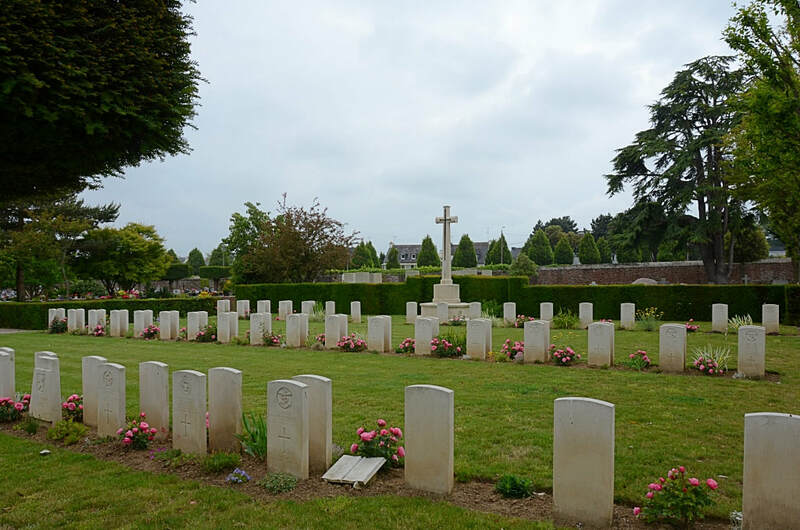 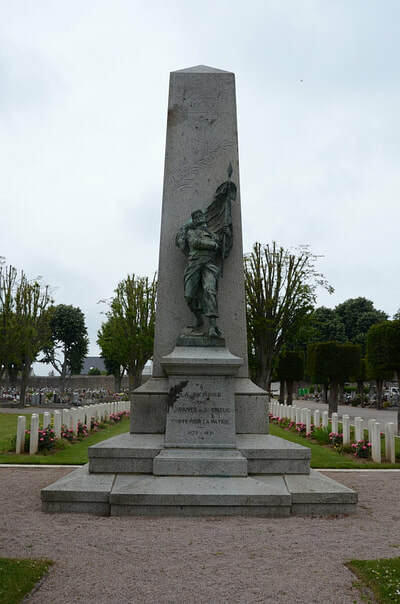 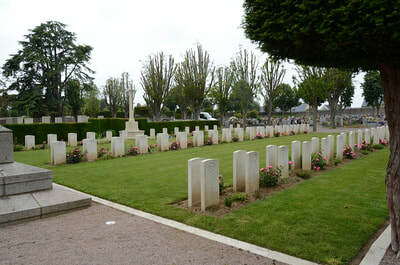 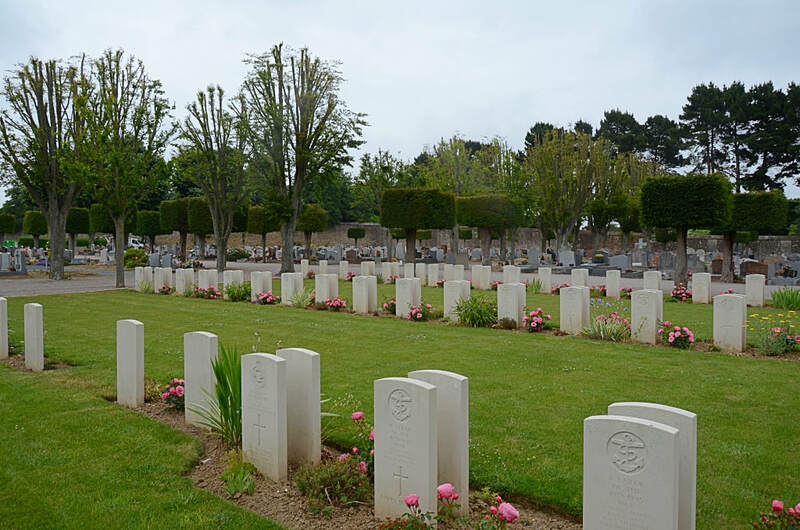 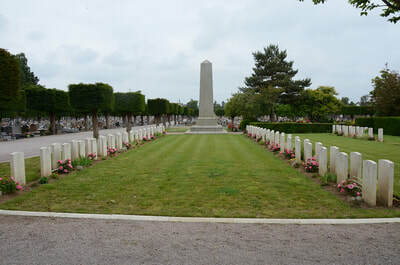 The great majority of the sailors buried at St. Brieuc Western Communal Cemetery lost their lives when H.M.S. Charybdis was sunk off the Bord de la Rance in October 1943. 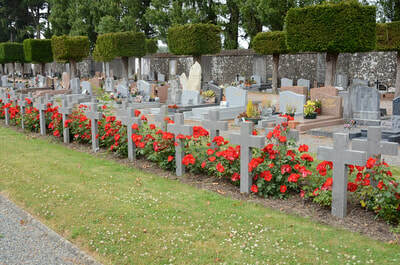 There are 92, 1939-45 war casualties commemorated in this site. Of these, 35 are unidentified.